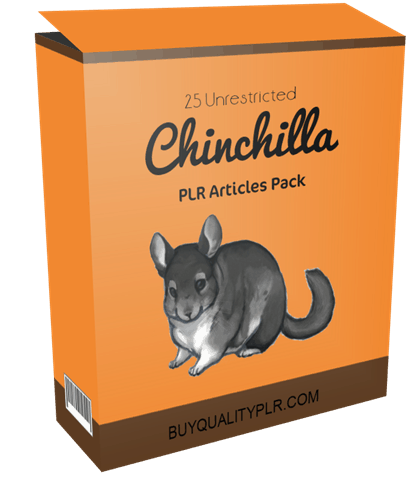 In this PLR Content Pack You’ll get 25 Unrestricted Chinchilla PLR Articles Pack with Private Label Rights to help you dominate the Chinchilla market which is a highly profitable and in-demand niche. 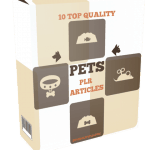 These Chinchilla PLR articles are available in Text file format and can be downloaded instantly after purchase. What Can You Do This Chinchilla PLR? The chinchilla’s process of consuming food is quite different than other animals. They should have a lot of roughage and fewer nutrients. One of the things that they must have enough of is pellets. 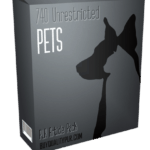 Chinchilla pellets can be purchased from a breeder or a pet store. Not all brands contain the same ingredients. When your purchase them, be sure that the basic ingredients are in the mix. This would include alfalfa meal, wheat germ, molasses, oats, soybean oil meal, corn, and added vitamins and minerals. The chinchilla pellets are long because the animals eat with their hands and they must be able to grasp them. The chinchillas consume the pellets until they feel full. When they get to that point, they will stop and refrain from overeating. You can either feed them once or twice a day. You’ll want to figure out which feeding regimen is best for them. Stick with whatever works best and be consistent. If you’re not, the chinchilla will know and the inconsistency will cause them to be stressed. A chinchilla’s livelihood is based on routines. You can feed the pellets to them either from a hopper feeder or a ceramic bowl. The hopper feeder is good to use because you don’t have to concern yourself about it falling over. Ceramic bowls are good because they are heavy and the chinchilla can’t chew it, like they would a plastic bowl. Chinchilla pellets are one of the best things they can eat; but if for some reason you can’t locate them, you can substitute rabbit or guinea pig pellets for them. These are fine to consume as long as they contain plenty of fiber and are low in fat. If for some reason you do have to switch their pellets, do it gradually. Once they get used to a system, it’s difficult for them to change suddenly. They will adapt, but they get stressed if it happens all at once. Hay is good for them because it also provides fiber for their system. You can choose from two kinds: alfalfa or timothy. 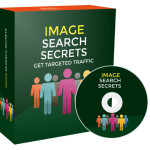 They can be purchased in loose or small compressed blocks with a measurement of 1″ X 1″ X 2″. 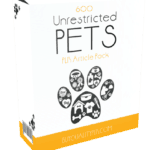 The animals will eat both kinds and it must be chemical and mold free. Because of their sensitive digestive system, chinchillas can only consume fresh hay. To remain fresh, it must be stored in a dry place. Fifty-pound bags may be too much for a chinchilla owner, so cubes can be purchased in smaller amounts. It’s better if the cubes are broken into smaller pieces. 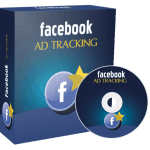 This way, they can handle them easier as opposed to being one cumbersome piece. One pressed cube or a handful of hay is all an adult chinchilla usually eats. How to Purchase This Chinchilla PLR Pack? 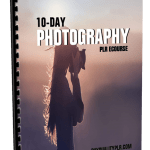 We will only be selling 50 copies on this Chinchilla PLR content pack, so don’t waste any time and grab your PLR license while it’s still available for sale.